The Stop-Limit Myth: Should I or Should I Not? At some point in your trading journey, many of you may have probably asked this question, “Should I use stop limit orders?” “What if the price hits my stop-limit and bounces back up?”. If you have been following my articles, you would realize that I am a strong advocate of stop-limit order. I will spend some time going through this in detail today. You opened a Long position of Qantas Airways at A$3.98 last week. 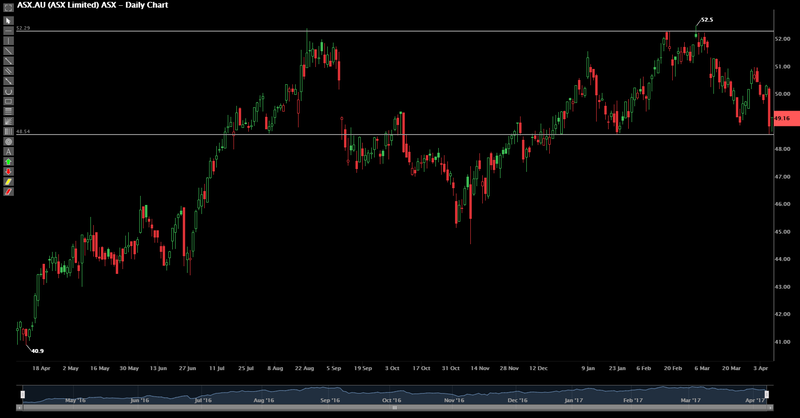 However, due to the recent market outlook, the price has been tumbling and Qantas is now trading at A$3.83. You are getting worried, should Qantas Airways go down further, you will incur substantial losses. This is where the Stop-Limit order comes in handy. Based on your research, you tell yourself that A$3.50 is the lowest price you could accept for this counter. Hence, you key in a Stop-Limit order with a stop price of A$3.50 and a limit price of A$3.40. Many traders get confused as to why is there are 2 prices. In fact, I have heard some traders tell me, “Can’t you just have 1 price? If hit the price, sell for me. Easy peasy”. Unfortunately, it does not work that way and the understanding behind it is simple. The 2 prices (stop price and limit price) have their own functions. Stop price is the price you are telling the system to activate this order. And the limit price is the price you are telling the system to submit your sell order once the order is activated. So in the example above, when the price of Qantas Airways falls to A$3.50, the system activates your order and fires into the market at A$3.40. Depending on what price the market is quoting, your order will be filled at the best possible price. If you are wondering why there is a 10 cents price difference, it’s only a buffer to prevent gaps in the market. If you had set both your stop and limit price at A$3.50 and the price gaps from A$3.83 to A$3.45, your order will be activated and fired in at A$3.50. However, since the market is quoting A$3.45, it will be a queue order. This is the risk involved with stop-limit orders. It doesn’t guarantee your position will be cut. Say you have been looking at ASX Limited chart for the past few months and realize that the price has been ranging between A$48.50 to A$52.50. You would like to Long this counter if the price breaks above A$53.00 or Short this counter if the price breaks below A$48.00. However, if you placed an order to Buy at A$53.00, you order would be done immediately. So, how can you achieve your plan? 2 ways. Firstly, set a price alert through your POEMS Mobile Application. When the price hits, you’ll get a notification and you may key in your order. However, by the time you have entered the trade, the price might have already moved. The better solution would be to use Stop-Limit order. By placing a BUY Stop-Limit order with Stop Price (Activation Price) at A$53.00 and limit price at A$53.10, you are effectively telling the system to activate your Buy order at A$53.10 only when the price hits A$53.00. Simple right?!?! These are the wonders of technology. Is Stop-Limit Order Really Useful? If you are a seasoned trader, you’ll know there is no 100% sure win strategy. Trading is a game of probabilities. If you are simply buying a stock without any plan or reason in mind besides making money, then you’re just gambling. If you have some sort of strategy such as trading trending stocks, break-out strategy or momentum trading, then the odds of you winning will be slightly better. One of the beauty of stop-limit order is that it ensures you do not take excessive losses. 13 losses vs 8 wins! Only 38% win rate! However, since he was good at preventing himself from making huge losses, he ended up being a profitable trader in the long run. It is the same as soccer, if your team has a strong defence and don’t concede many goals, you’ll have a better chance of winning. Similar to Trader X, he always cut loss according to his plan. But, when he was right, he rode the trend all the way up. You see, the logic is simple. If you cut loss, not only will you be able to prevent yourself from losing more money, it also gives you the ability to explore other opportunities which could be more profitable. Imagine you were to tradeValeant, the company that lost $85 billion in market value since 2015 peak. If you woke up every morning telling yourself that the trend would reverse, you might have wiped out all your investments and made significant losses. Always take care of the downside and the upside will take care of itself. It’s alright to make small losses! It’s also perfectly normal that a counter might bounce back after hitting your stop loss. You just have to accept it and move on to the next trade. It’s a rather long article and probably more difficult to digest then the previous one. As usual, if you are confused at any point, let me know in the comments section below and I’ll be happy to explain further. YES, I WANT TO TRADE WITH STOP-LIMIT ORDERS!